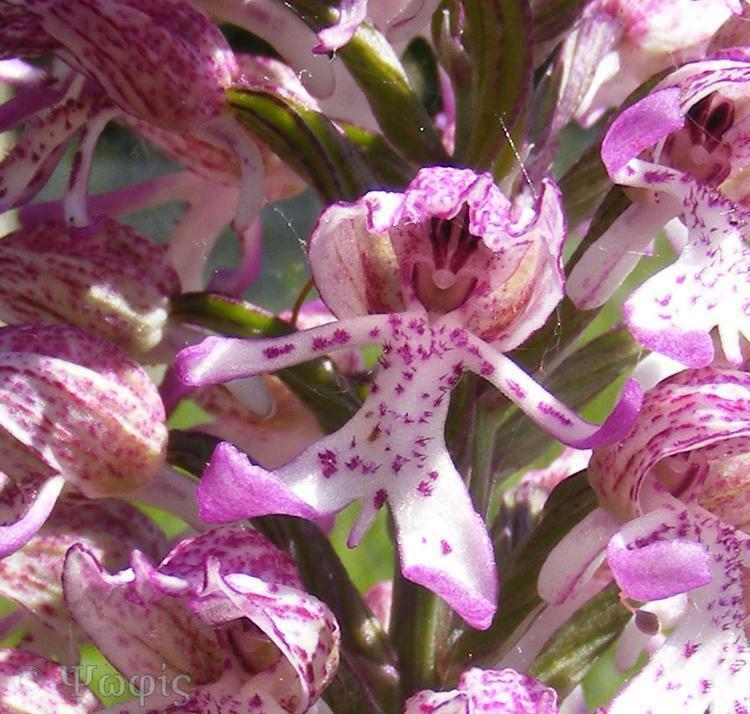 These wonderful orchids come from the south-eastern Ecuadorian and Peruvian cloud forests from elevations of 3000 to 6000 feet and as such not many people throughout history got to see them. 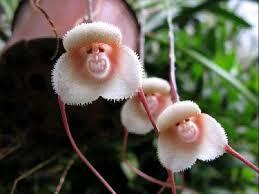 However, thanks to intrepid collectors we do get to see this wonderful Monkey Orchid. It doesn’t take much imagination to see how it got its name though. 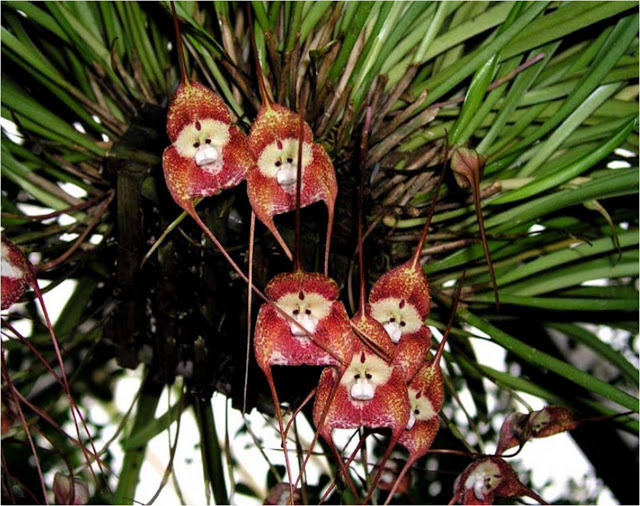 Its scientific name is Dracula simia, the last part nodding towards the fact that this remarkable orchid bears more than a passing resemblance to a monkey’s face – although we won’t go as far as to be species specific on this one. The Dracula (genus) part of its name refers to the strange characteristic of the two long spurs of the sepals, reminiscent of the fangs of a certain Transylvanian count of film and fiction fame.